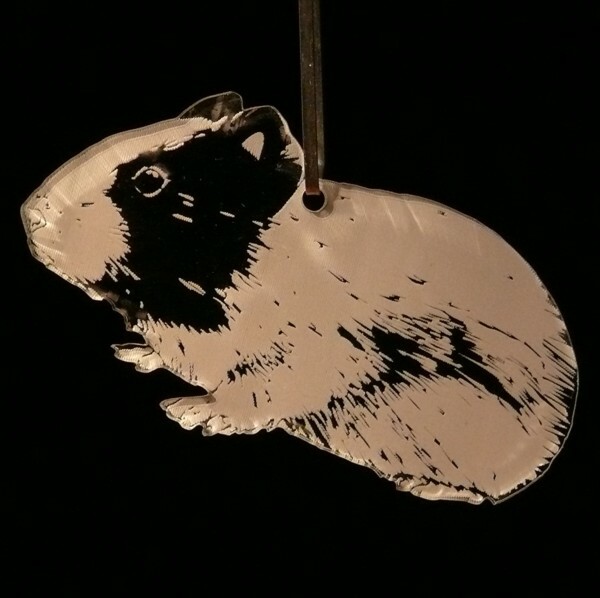 A hanging ornament featuring a guinea pig. Engraved on clear acrylic. 10.5cm wide.